At the heart of Hancock County is one thing: the community. The people who make up the community are unique and diverse in interests, backgrounds, and stories. Over the next few months we will be highlighting members of the community that you may see behind a shop counter, at an event, or in the grocery store and their stories. This month we will be featuring a special community member, Santa Claus. Santa Claus goes by many names – Kris Kringle, Saint Nick, and Father Christmas being among the most popular.  Santa, who lives in the North Pole during the year, is very well known in the community and has been visiting Findlay’s Santa’s House since 2000. Throughout those years he has met several thousand children and hopes to meet even more this year. Although Santa keeps very busy during the Fall and early winter when he is overseeing elves as they make toys and visiting different communities, he has quite a bit of free time after Christmas. In his free time he enjoys spending time in his barns with his reindeer and taste testing Mrs. Claus and the elves attempts at making the perfect sugar cookie. Although they have tweaked the recipe several hundred times over the years Santa says it isn’t quite right yet…so he keeps taste testing. Santa definitely has a sweet tooth and part of the reason he likes Findlay so much is because of all the places he can pick up some great cookies! He can’t choose his favorite so he makes a point to get a cookie or five at each spot when he visits. Speaking of his sweet tooth, Santa is also a big fan of Dietsch Brothers. He loves their peppermint ice cream and peanut brittle and the elves are fond of the stenciled ice cream slices so he makes sure to take some home to them. Santa Claus is a special part of the Findlay and Hancock County community! One of the things Santa is most proud of is his time management skills, which he has nearly perfected over the years. Even though the bulk of Santa’s free time comes after the holiday season, Santa also values professional development. He has subscribed to The Toy Book magazine and looks forward to The Toy Insider to see what is going to be popular each year. Santa is the founder and patron of NPAS (North Pole Arts Society), which he formed after seeing all the great shows and events The Arts Partnership brings to Hancock County each year. He especially enjoys the comedic performances the elves put on each year and it is often said his booming ‘Ho Ho Ho’ laugh is heard throughout the North Pole. As a fan of the arts Santa also enjoys music and his favorite songs include “Santa Claus Is Coming To Town”, “Up on the Housetop”, “Rudolph the Red-Nosed Reindeer”, and “I Saw Mommy Kissing Santa Claus” (which is definitely not Mrs. Claus’ favorite!). Santa also enjoys lecturing throughout the country in his free time on topics like chimney cleanliness, fireplace safety, chocolate chip to cookie ratios in baking, and much more. Santa’s special Findlay elves are ready to greet you at Kiwanis Santa’s House! Of course, Santa would not be able to have toys and deliver them to all the good boys and girls around the world without the help of his elves. Although the elves are very busy at this time of year, Santa recruits special Findlay elves to step in and help him during WinterFest. These elves are volunteers from the Findlay Kiwanis Club and are the ones that organize and run Santa’s House during WinterFest each year. WinterFest and Kiwanis Santa’s House has been a Findlay holiday favorite for 16 years and grows each year. Visitors to Kiwanis Santa’s House can not only meet Santa and his elves but can also take horse drawn wagon rides through Downtown, enjoy Santa’s favorite treat of hot chocolate and cookies, and take home a goody bag as well. The reindeer have to rest up for their big night on Christmas Eve but they do spend some time relaxing at Kaleidoscope Farms. While Santa’s elves are very busy making toys, sometimes they cheat and shop locally in Findlay and Hancock County! Santa knows that not everyone can make gifts for the important people in their lives so he is glad that they have so many places to find a perfect gifts. Santa’s job is extremely rewarding, and he loves meeting all the boys and girls of Findlay. He is sure they will all be on the nice list and while Santa loves to hear what all the boys and girls he sees each year want for Christmas he also wants to make sure visitors send him a letter; but make sure it is mailed it at the special mailboxes at Trends! on Main or at Northwest Ohio Railroad Preservation, Inc. It takes a long time for mail to get to the North Pole otherwise. Santa is looking forward to seeing you and your family this holiday season! Ho Ho Ho! Drop off your letters at one of the special North Pole Mailboxes at Trends! on Main or NWORRP! Santa Claus can be found at WinterFest and Kiwanis Santa’s House on Mondays and Fridays from 6 – 8 p.m. at St. Andrews UMC until December 19. He can also be found at Skate with Santa on December 10 at The Cube, and at NWORRP’s North Pole Express on select dates! Don’t miss out on other community members we have highlighted through the community spotlight series, and enjoy all the events planned this holiday season as well as this winter! Also, place your baked goods orders for all the holiday parties this season, and to shop locally for those on your shopping list!